The sheer trend is not going away with 2011. Sheer blouses, pants, skirts, and dresses are present in many of the spring/summer 2012 runway shows. These are some of my favorite looks that feature this risque trend from the latest shows. Fantastic images, love every detail. 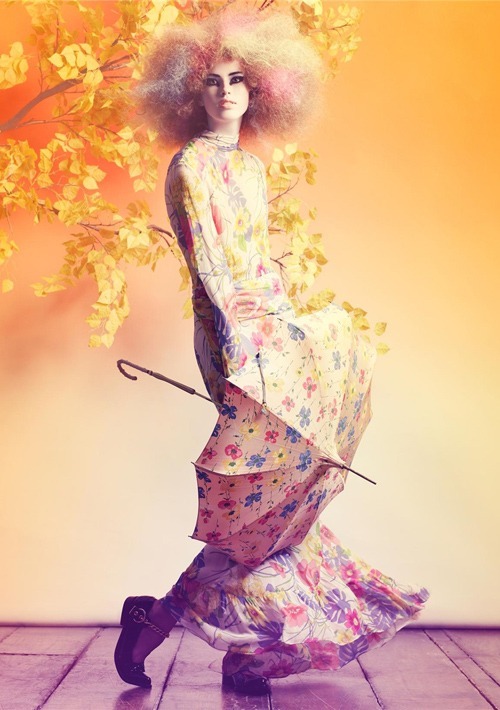 Craig McDean is incredible. This editorial is from the September 2008 issue of Another. 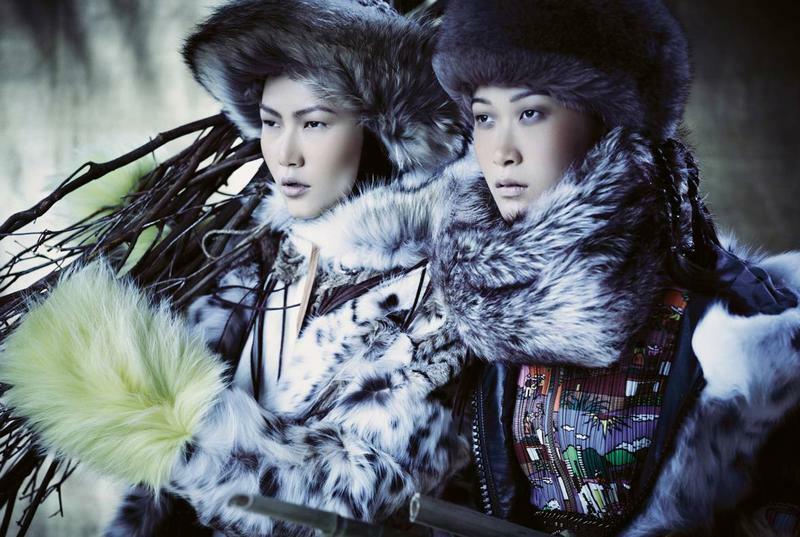 Styled by Marie Amalie Sauve, featuring models Amanda Laine, Bridget Hall, Guinevere van Seenus, Han Hye Jin, Jessica Stam, Kinga Rajzak, Missy Rayder, Siri Tollerod, Suvi Koponen, Taryn Davidson, and Tasha Tilberg. Dreamy, or trippy actually, this pictorial is like a world from the mind of an artist gone mad. Every shot can be an art piece on its own, I would actually love to decorate my walls with these. Look at the detail of the jacket in the fifth image down, amazing. 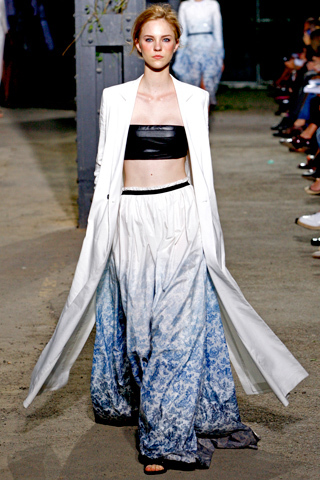 If the bright lady-like trends of the spring aren’t for you, maybe you’ll like this tough girl look that’s popping up at many of the contemporary runway shows, the bare midriff. 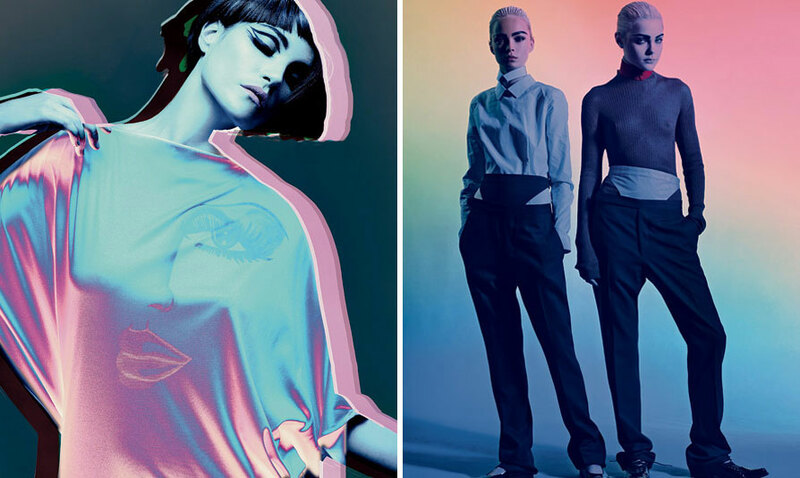 These aren’t the eighties neon midriff-bearing outfits, but black and white sleek urban looks, that we love. 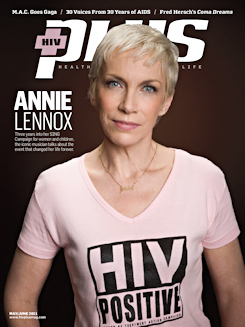 Annie Lennox is a great example of a strong woman who does what she thinks is right and who conquered the world with confidence and sheer talent. This season, with the popularity of menswear-inspired womenswear, Lennox is the perfect fashion muse to look to. The current trend of tuxedo jackets is something she has been doing since the eighties. Recently she has turned all her attention to activism, like her SING charity witch raises funds for HIV/AIDS education and treatment. 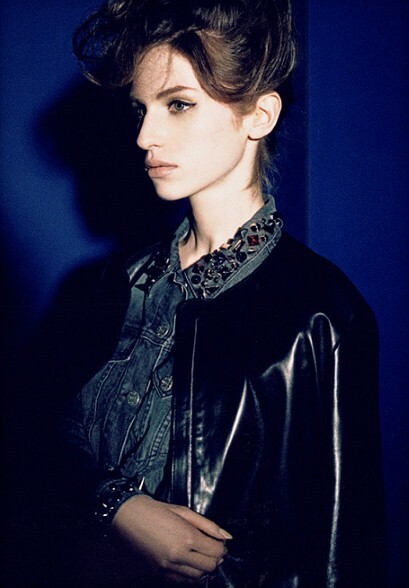 She is also not the only Lennox in the fashion world anymore, her daughter Tali Lennox is now modeling and has already been in a Burberry campaign. 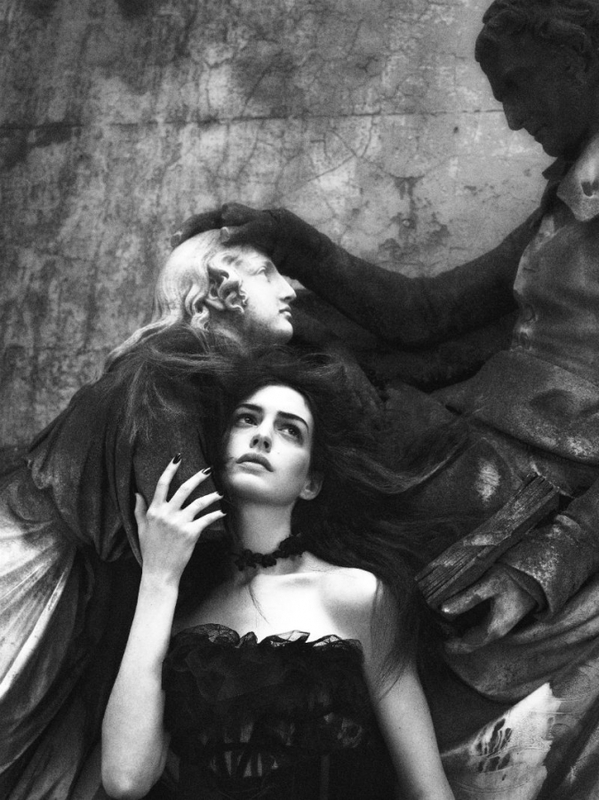 Anne Hathaway is playing a darker role than usual in this Interview Magazine editorial, perhaps she is preparing us for her jump into the very dark character of Catwoman. 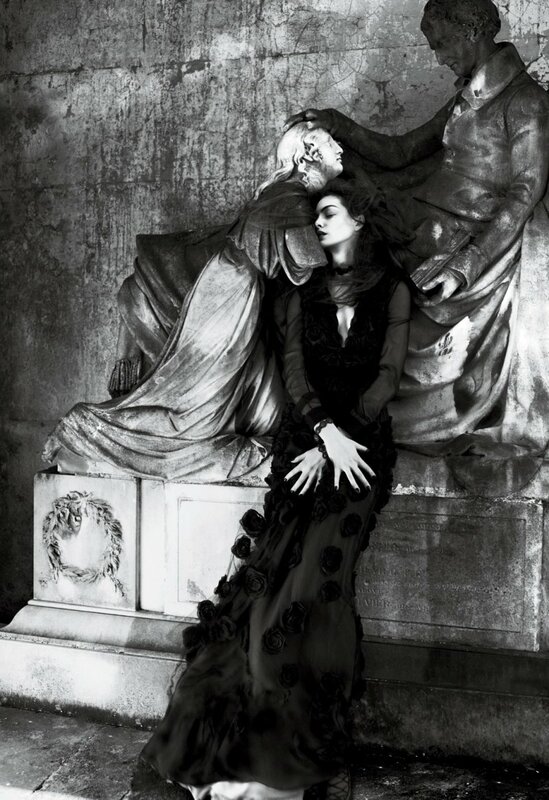 The shoot was photographed by Mert and Marcus. 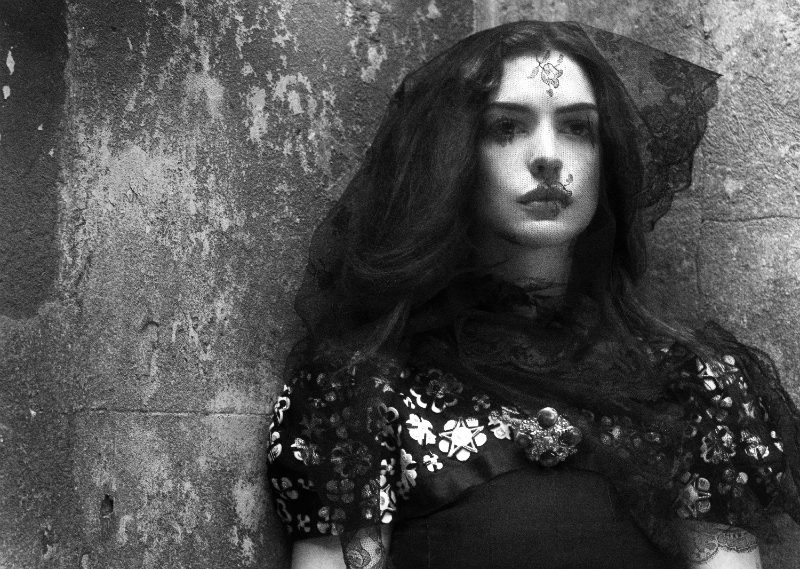 I love the lace and the dark angel theme, the images are absolutely beautiful.